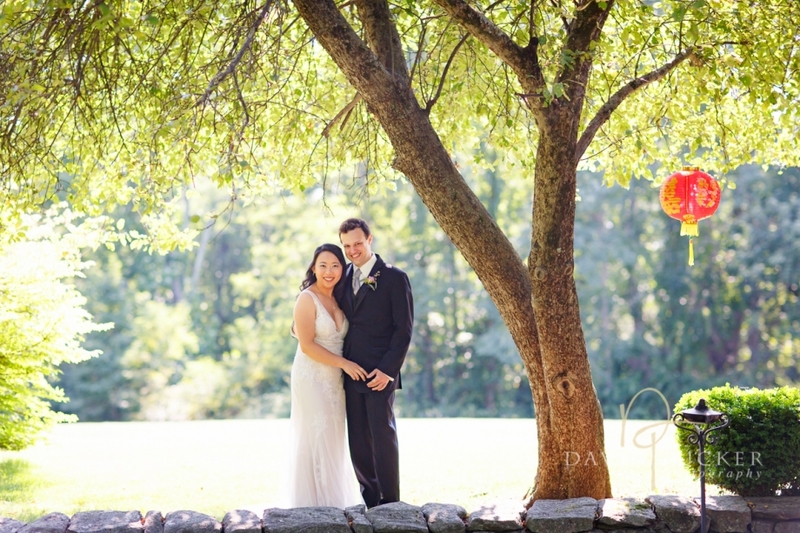 Chinese lanterns coupled with New England charm combined to create a beautiful and romantic outdoor wedding and reception at the Lord Thompson Manor in Thompson, Connecticut. Susan and Jonathan lovingly welcomed family and friends from the US and China. Guests celebrated in the elegant and intimate rooms of the manor, as well as several inviting outdoor locations adorned with garden sculptures, a unique gazebo, contemporary pillows, lighted umbrellas, and a cozy fireplace. Every detail of this inspired event was planned with love and care. It was a joy to photograph for this wonderful couple. Please enjoy the highlights and join me in congratulating Susan and Jonathan!